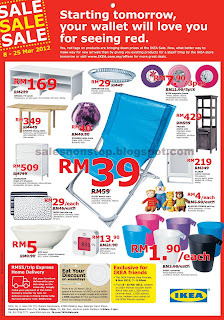 Red tags on IKEA products are bringing down prices at the IKEA Sale! 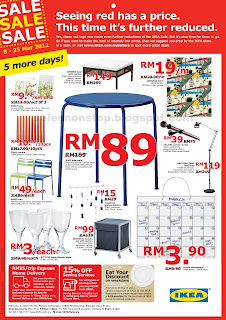 From 8 to 25 March 2012, spend a minimum of RM20 at the IKEA Restaurant in a single receipt and receive a RM5 voucher for the purchase of IKEA home furnishing products. 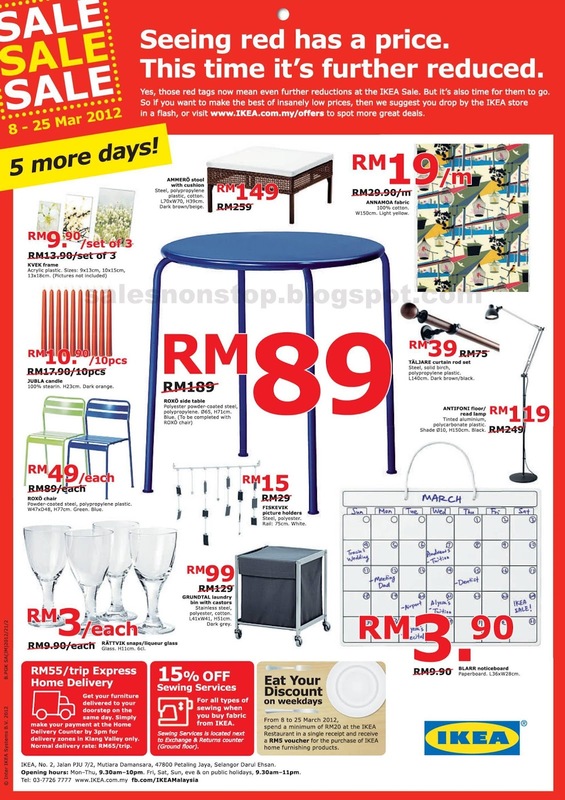 Check out also Exclusive for IKEA friends offer! No. 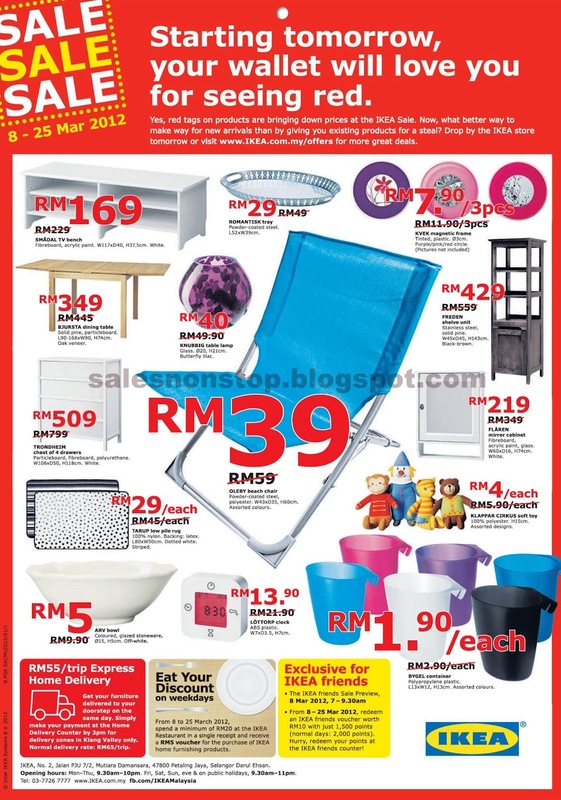 2, Jalan PJU 7/2, Mutiara Damansara, 47800 Petaling Jaya, Selangor.